The California Basic Educational Skills Test or CBEST is an extremely specialized exam. If you are visiting this page, you are probably studying to become an educator and live in either Oregon or California. Taking the CBEST itself is one way for you to gain part of the credentials you will need to successfully obtain your teaching license. Use the free CBEST practice test questions below to get a better understanding of the CBEST exam. Take advantage of this valuable resource to pinpoint your strengths and weaknesses. *The CBEST test does not allow the use of calculators. The Writing portion is comprised of two composition subjects that survey your capacity to write in an effective manner. Both topics are required for this section. One of the topics wants you to break down a given circumstance or explanation. The second topic wants you to write about something specific and personal. There is no specialized knowledge needed for the topics in this section. You are given the option of taking all 3 in one session or you can take them individually. Use the video tutorials below to help you on your CBEST exam. The CBEST exam, or the California Basic Educational Skills Test, is a test that is given to those in California and Oregon who wish to become a teacher in a public school. How much does it cost to take the CBEST exam? The registration for the CBEST exam is $41. How long does it take to get the CBEST scores? You will receive your CBEST scores within two weeks if you took the computer-based exam. If you took the written exam, you will receive your scores within three weeks. What score do you need to pass the CBEST test? Each section of the CBEST is scored on a scaled score of 41. To be considered as passing the CBEST, you must have a total combined score of 123 or higher. How long do you have to wait before you can retake a CBEST exam? You are allowed to retake a subsection of the CBEST as many times as you would like. However, if you decide to retake a section, you will be required to wait 45 days from the last date of taking the exam. How many questions are on the CBEST test? The CBEST exam is divided into three sections which include reading, mathematics, and writing. The reading and mathematics sections each contain 50 multiple-choice questions while the writing section consists of two essay questions. Mometrix Academy is a completely free CBEST test prep resource provided by Mometrix Test Preparation. If you find benefit from our efforts here, check out our premium quality CBEST study guide to take your studying to the next level. 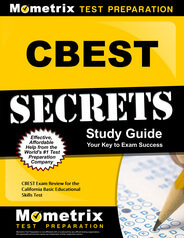 Just click the CBEST study guide link below. Your purchase also helps us make even more great, free content for test-takers. What is the CBEST Test? The CBEST has been part of the teacher’s education process in Oregon and California for a long while. Specifically, the CTC (or the Commission of Teacher Credentialing) formulated the exam in 1983 for aspiring teachers. It was fully approved February 1 of that year at the hands of Californian legislators. The basic goal of the test is to evaluate your abilities in three basic subjects: writing, mathematics, and reading. The test was officially reached across Oregon’s borders in the summer of 1984, at the request of the Oregon Teachers Standards and Practices Commission. It is now a mandatory part of teaching education in the state. The NES (or National Evaluation Systems, Inc.) is currently responsible for the test’s administration. The CBEST is also mandatory for you if you want to enroll in a CCTC-sponsored program that will grant you either service credentials or your teachers’ certificate, if the time lapse between your newest teaching job and your previous job has been at least 39 months, or if you are signing up for your very first serving or teaching education courses. However, you don’t have to take the test if your educational focuses cater to the HoH or deaf, if you work for an adult-oriented apprenticeship school, if you are a student-teacher, if your teaching takes place in a childcare facility, if you work in the health industry, or if the subject you seek to teach does not need any form of higher education. Quickest Way to Prep for the CBEST Test! How Do I Sign Up for the CBEST Exam? You can apply to take the CBEST test either through a telephone call, the mail, or online. To sign up over the telephone, you can call either 916-928-4001 or 800-262-5080. You have a specific timeframe for signing up for the test via telephone, in the form of both a particular range of calendar dates and clock times. The California Basic Educational Skills Test telephone center is only open from the hours of 9:00 AM through 5:00 PM EST, and only on weekdays. You have until the registration deadline to call into the center. It is worth noting that you can only register over the telephone in case of emergency or late sign-ups. Registering through the mail has different requirements. Due to the speed of snail mail, the CTC necessitates your registration envelope receive its postmark by the designated sign-up deadline. Any later and you will have to pay a fee for late registration. Online sign-ups for the exam are much more flexible; you have the option to do it at any time of day. You can use the Internet to apply to take the exam under all circumstances. You also have the option of choosing whether you want to take the test either in person at a physical location, or online. 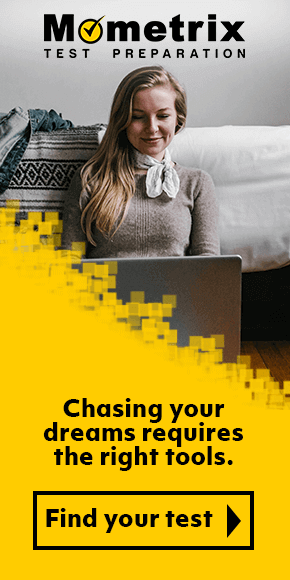 The computerized version of the CBEST is known as the CBEST CBT, or “CBEST computer-based testing.” Should you choose the digital CBEST exam, you receive up to six days to complete the test, with a range of dates to pick from at your own convenience. Oregon and California provide six different testing windows every year. Generally, this would be either one of the first two Saturdays of every other month. Where you will test can vary, since complications can arise and force one location to change. However, there will always be several places for you to choose in your state. If you sign up to take the test at a physical testing center, you will receive a list of locations to in your area based on whether you live in Oregon or California. You will only receive the ability to choose your location and date for your test after your registration has been successfully approved. Be sure to choose wisely, as you cannot change your mind once you have signed up. If you must, you will have to rescind your first registration attempt and repeat the sign-up process. You will have one chance to change your registration details before sending your information if you need. Signing up for the CBEST is not a free process. You can pay for the test either through postal mail, or by credit card. The basic fee for the exam is approximately $41. The digital version of the exam is $20 more—$61, to be exact. If you have to register later than the sign-up dates, that will cost an extra $18. You also have the option to enroll for emergency testing, which generates an additional $35 charge. Upon registering to take the test, you loosely agree to take it in its entirety. It is up to you on your chosen exam day to decide which part of the test you would like to take. It is worth mentioning, however, that if you decide to separate your testing dates for each segment of the test, you will have to pay the required fee every time. Keep in mind that you have only one chance to take the test within the month you’ve chosen. We recommend that you finish applying well before the month you plan to take the CBEST. Only a small amount of seats are available at each location, meaning that testing spots are only given to those who sign up expediently. Additionally you will want to give yourself ample time to study for the test as much as you can so you can achieve the best possible score. What Can I Expect When I Take the CBEST Test? If you choose to take the CBEST in person, know that the test runs from exactly 8:00 AM until 1:15 PM at the latest. If you have signed up for the online version of the CBEST or must take the test outside of either Oregon or California, the timing will be different. When you show up at the testing site, be sure to bring along any official IDs you may have, number two pencils with sharpened ends and functional erasers, and the admission ticket you will receive after finishing your registration. If you chose the digital CBEST format, you will only need printed evidence of your registration. Compared to many other standardized tests you will find today, the CBEST’s format is simple. It does not evaluate how well you are able to teach, but how well you comprehend writing, math, and reading—the three simplest skills any teacher will encounter. Naturally, the test splits into three portions for each subject it covers. The writing portion of the exam is composed of exactly two essay prompts, while mathematics and reading are multiple choice and about 50 questions each. You will have a total of four hours to finish the test, but can complete each (multiple choice) portion of the test at your own pace. As stated above, the writing segment of the CBEST exam possesses two questions which must be answered in essay form. You will receive the prompts for each question in your exam booklet, which you must provide clear answers for in the strongest writing you can create. While the actual subjects of the essay questions will differ, they will be of two varieties. One question will ask you to provide an anecdotal account, while the other requests for you to critically consider a specific assertion or current issue and formulate an informed response. You will only have a half hour to complete both essays, which means you must think on your toes and be able to provide a reasonable, well-composed answer. The writing part of the exam has a unique grading system in comparison to the other two sections. Graders will generally look for six specific qualities in your essays: how appropriate your response is with respect to your given prompt, how well you use rhetoric, your ability to structure grammar and sentences, how well you have organized your essay from a logical standpoint, your usage of vocabulary, and how well you back up your thesis with evidence. The mathematics part of the test makes up half of the multiple choice section you’ll find on the CBEST exam. What you will find on this part of the exam won’t be too advanced. Rather, it will cover only the mathematical subjects you would typically have learned during high school and elementary school. The highest difficulty level you may find would be university-level math. You will also need to have a reasonable handle on computation, as the math test will require this skill throughout. Only 20 percent of this exam portion deal with miscellaneous concepts, while 40 percent features pure arithmetic. The reading segment of the CBEST exam is—much like the mathematical section—50 questions in length. 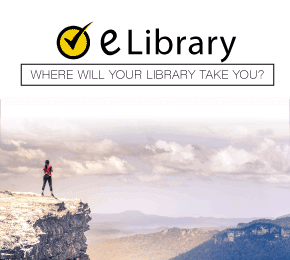 You will be provided with reading passages up to 200 words long, with corresponding questions that seek to evaluate your reading comprehension. You will be expected to do the same based upon pictorial evidence, such as graphs. These questions are meant to test your ability to carry out research, evaluate data, and analyze information on a critical level. 60 percent of the reading section is meant to measure your research and how well you understand what you read, while 40 percent evaluates your analytic capabilities. What Happens After I Take the CBEST Exam? You can expect to receive the results of your exam no earlier than four weeks nor any later than six weeks after you completed the CBEST. You will also be able to find the unofficial version of your score on the official exam website. Your score is divided up by the sections you took, and will include a guide to your strengths and weaknesses alongside each exam segment. Naturally, you will also receive notice of whether you failed or passed each section. The score sheet will inform you of the best score you earned as well. Every part of the test has a maximum score of 80, though you only need to obtain 41 points to pass. Your total score must be at least 123 points. You are generally safe if your score reaches 123, even if you earn a score below 41 on one of the individual parts of the exam. If you’ve passed, congratulations! You no longer have to worry about the CBEST and can continue with your teaching certification training. If you weren’t able to pass, you still do not have to fret. You have the option to retake the CBEST as many times as you need. However, you cannot sign up for a retest right away. You must wait for at least 45 days after you receive your scores to register to test again. Preferably, you can use this window of time to brush up on the subjects your gave the weakest performance in, so that you can gain a higher grade on your retest, pass the exam, and continue on with your teaching certification process. Regardless of whether you are taking the CBEST exam for the first time or not, Mometrix Study Preparation has the tools you need to properly prepare yourself for this stage of your teaching education. As Mometrix, we make it a top priority to help students prepare for their important exams by way of practice exams, flashcards, and other commonly helpful study tools. If you continue to browse our site, you will find a number of study resources to help you get ready for the CBEST and gain a better idea of what to expect. Good luck, and happy studying! Mometrix Academy is a completely free CBEST certification resource provided by Mometrix Test Preparation. If you find benefit from our efforts here, check out our premium quality CBEST study guide to take your studying to the next level. Just click the CBEST study guide link below. Your purchase also helps us make even more great, free content for test-takers. Our customers love the tutorial videos from Mometrix Academy that we have incorporated into our CBEST study guide. The CBEST study guide reviews below are examples of customer experiences. Well, my neighbor who is a teacher too she recommended me to buy a CBEST guide, so when I was looking for it in my Amazon prime account this product was the right choice. This study guide is really clear and organized. I feel better now to know I have this guide with me. I’m really bad in mathematics and I loved the way you explain the Mathematics Test. There’s no doubt, this guide (product) is going to help me a lot. Great price, amazing content, this is a real CBEST guide! Very detailed instructions and plenty of directions too. Looking forward to passing the CBEST. The layout seems easy enough to follow. I have to study up on the math and that portion has been very explanatory on the concepts that are needed. The book was helpful. The explanations help me understand and master the concept esp of the difficult questions. I was really impressed with the structure of secrets study guide. It was the first book on CBEST That did not intimidate me. Thanks to this guide, I passed the CBEST. The manual addressed my weaknesses in Reading and also significantly improved my confidence and in result my score on the Mathematics and Writing section. JUST EVERYTHING! I can’t believe it. What would I have done without this, seriously? My impressions of the book is that is very methodical and logical approach to studying for the CBEST. I like how it is split into sections and the reading is very easy to understand. This was a great brush up on many subjects. I am studying for the CBEST test and this course is amazing. I would rate a 4.8 for sure. I like the test format and being able to check the explanations of answers for help.